In these precipitous times, with the unknown stretching before us, there is place of comfort, security, and peace that guards our hearts and minds in Christ Jesus our Lord — that place is where our God dwells. He is my refuge and my fortress; My God, in Him I will trust. 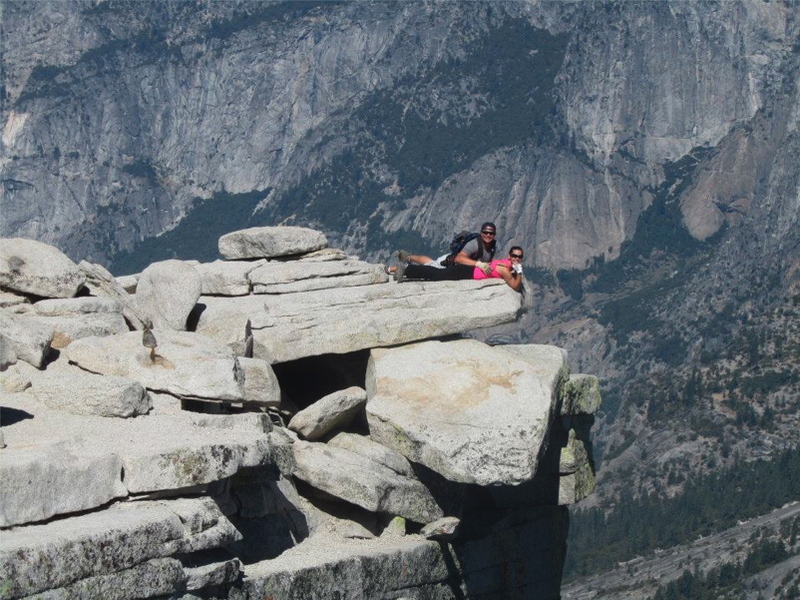 Photo of Nathan and Krista Marie Arellano at Yosemite, safe in the arms of their Lord. This, my friends, is a much better promise than any that is being given to us right now because it comes from the living God, the Almighty, who is enthroned in heaven above, yet whose Spirit dwells within us. This is how we fight the disquiet that comes from fear and that is restless within us as a result of the various things going on in our nation, state, county, and city, and also in our lives. This is how we live in the security of our Father’s presence so that we may live as conquerors, in peace, and rest. Heavenly Father, You know the inner battles that each one of us is facing, and hear our hearts’ cries to You. We pray that Your perfect peace will quench the attack of fear as we fight with Your living word, which is our sword. Thank You for knowing our frailty and shoring us up with Yourself. Magnify Yourself in all the earth, Oh Lord, and reveal Your majesty to all who are in the earth. In Jesus’ name, we pray, amen. This entry was posted in Christianity, Difficulties, Encouragement, Faith, Fear, Jesus and tagged abundant life, anxiety, Bless the Lord, fretting, Salvation, worry, Worship songs. Bookmark the permalink.